Imagine signing a high school slugger for a few million dollars and the following week putting him at the plate against the likes of Justin Verlander and CC Sabathia. 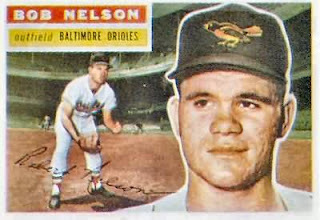 Bob “Tex” Nelson in 1955 did just that, debuting against Hall of Famers Early Wynn and Bob Feller right after his high school graduation. He was signed by Paul Richards as one of his hyped “bonus babies” in June of 1955. He died suddenly last week in Texas at the age of 74. Click here to read more about Nelson's career and why it never got off the ground.